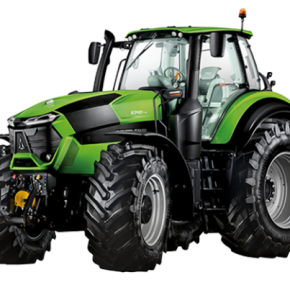 The Agrofarm C is the multi-purpose 75-100 HP tractor, 2WD or 4WD, which has the proverbial reliability and performance qualities of DEUTZ-FAHR and combines advanced features, exceptional manoeuvrability, simplified maintenance and low operating costs. 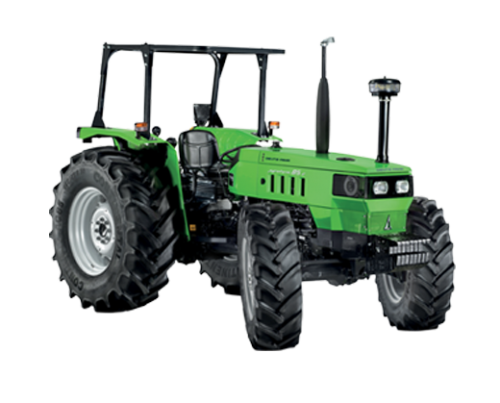 Robust and with an essential line, it represents the perfect compromise for farmers and agricultural companies looking to maximise efficiency with a versatile, easy to use and maintain tractor which you can demand much of in any working conditions. 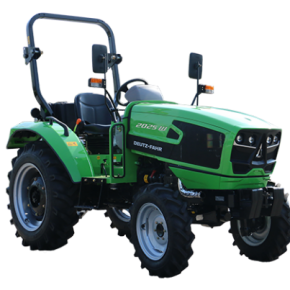 The Agrofarm C is equipped with the tried and tested SDF 1000.4 4 cylinder, 4000 cc naturally aspirated and turbocharged engine, with independent high pressure pump and a choice of 75, 85 or 95 HP, or in the 80, 90 or 100 HP Tier II version. An engine specifically designed to withstand the most demanding use and work in all conditions and on any terrain with excellent performance, great reliability and reduced fuel consumption. To maintain high performance, a longer life and always the pace best suited to every job, the Agrofarm C adopts a fully synchronised gearbox and shuttle. The standard gearbox is 4-speed with 3-stages (12 12). As an option the 16 16 gearbox or the 40 km/h version with 20 20 gearbox is available. To work in safety and be able to tackle even the most demanding jobs, the Agrofarm C adopts a limited slip differential and hydrostatic wet disc brakes on 4 wheels. 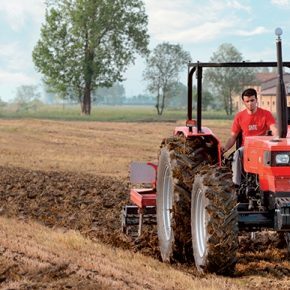 The 540-1,000 rpm PTO is fully independent with dry clutch and is also available with power take-off. It is operated by means of separate controls, which offers the possibility to exploit the power take-off even with the tractor stopped.All these characteristics ensure maximum productivity with greater precision and less effort on the part of the operator. The Agrofarm C features an efficient hydraulic system with a capacity of up to 56 l/min, allowing the optimal use of all equipment. The steering is driven by an independent pump that guarantees lightness and fluidity for easier control of the tractor both in the field and on the farm. The high capacity rear lifter can lift up to 3,000 kg. Functional, intuitive and comfortable operation The Agrofarm C offers excellent comfort thanks to a comfortable driving seat and controls mounted at the side of the operator, an expedient that simplifies manoeuvres and makes them easy and intuitive.